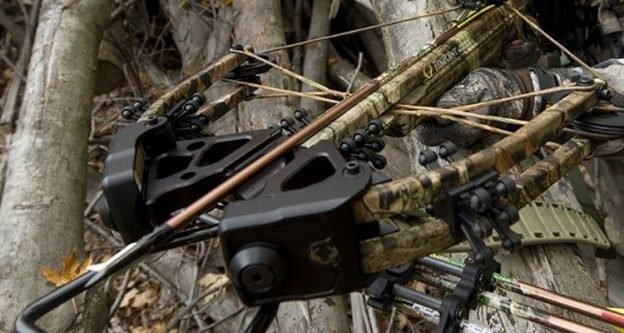 What Are The Best Crossbows For Deer Hunting? When it comes to deer hunting, in recent years the crossbow has become one of the most popular weapon choices. 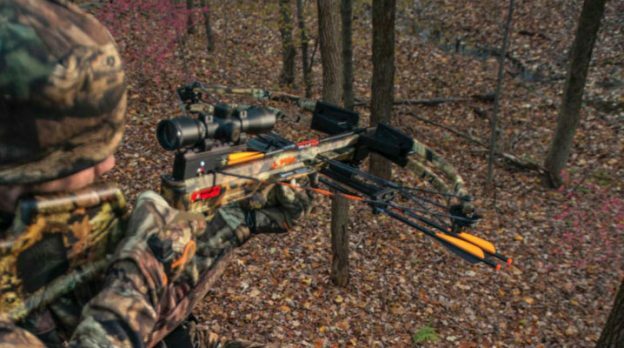 There are a growing number of crossbow brands now on the market offering a wide range of crossbows, but not all of them are suitable for deer hunting. 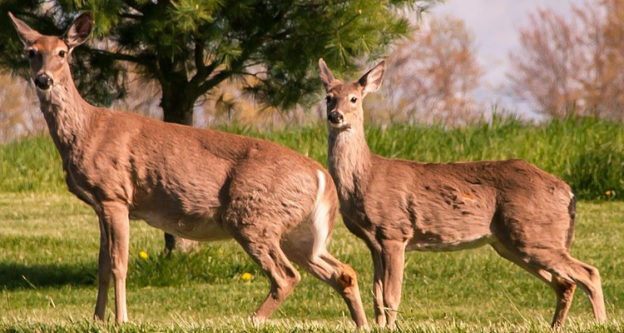 In order to hunt larger game like deer you will need a weapon which is powerful enough to take out a full grown animal, but which is still lightweight enough to make it manageable in the field for several hours at a time. We have gathered together a selection of the best deer hunting crossbows around to help you to make the right decision. There are so many different models of crossbows out there that it can be a little bit overwhelming trying to actually narrow down which one is the best crossbow for deer hunting. In order to make things easier for you we have listed what we believe to be the top 5 crossbows suitable for deer hunting for you to compare. When it comes to finding the best crossbow, it doesn’t get much better than the Barnett Jackal Crossbow. This particular model features a sleek military style stock and high energy wheels for maximum efficiency. It delivers a 150 pound draw weight and can shoot at 315 feet per second making it ideal for deer hunting. The crossbow is ready to shoot right out of the box and features a divided foregrip which allows for comfortable hand placement during operation. Barnett crossbows are designed especially for hunters by people who are passionate about hunting themselves, so the Jackal is a powerful and efficient choice for deer hunting. The great combination of a lightweight stock and devastating power makes this one of the best hunting crossbows around. The SA Sports Fever is a recurve crossbow model that makes a great crossbow for hunting. One of the great features of this particular bow is that it has an ambidextrous auto safety making it suitable for any hunter whether left or right handed. The lightweight and compact rear stock is also ambidextrous. It weighs around 4.85 lbs and has a 175 pound draw weight, delivering speeds of up to 240 feet per second which is more than enough power to take down a full grown deer at 20 to 35 yards. If you check out hunting crossbow reviews, one of the most desirable features that comes up is the ability to restring the bow easily out in the field and this particular model definitely checks that box. Less time spent on restringing your bow means more time actively hunting in the field. If you are looking for the best hunting crossbow, then the Barnett brand is one that consistently gets great reviews from hunters. This Barnett Outdoors Brotherhood crossbow is the second model from Barnett to make the top 5 and it is with good reason. This model is actually the result of a collaboration between Barnett and The Brotherhood (hosts of the popular Bone Collector tv series). At just 7 lbs, this is a lightweight crossbow, but it certainly does not lack anything when it comes to stopping power. 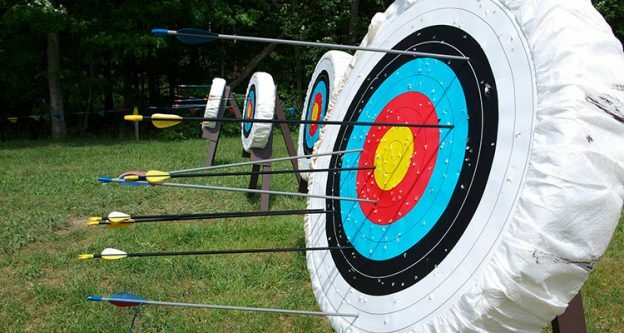 The bow can produce speeds of up to 315 feet per second from a 160 lobs draw weight. It features a high energy cam system and the standard Barnett ADF trigger system for a smoother, more accurate shot. This one is ideal for whatever game you are intending to hunt this season. Another strong candidate for the best crossbow for hunting is the SA Sports Empire Terminator. This is a high quality, full featured crossbow at a very affordable price. You will be hard pushed to find a rival for the Terminator in terms of performance power without having to look in a much more expensive price range! It is easy to assemble and offers 175 lbs of draw weight and fires at 260 feet per second. That is more than enough power to put down a deer from a reasonable distance. If we had to offer a brief summary of what this particular crossbow can offer then we c=would describe it as lightweight, powerful, accurate and comfortable to shoot. There are certain things that you look for when seeking out the best crossbow. You will want something that is lightweight, compact, safe, reliable and sturdy. The Wizard hunting crossbow is one which checks all of those boxes. It offers reliable accuracy up to around 60 yards and features an auto safety cocking mechanism. With 150 lbs of draw weight and 210 feet per second firing, the Wizard is more than capable of taking down larger game including deer. It is a heavy duty bow which is still fairly lightweight making it more comfortable to use in the field. In conclusion, if you are looking for the best crossbow for deer hunting, then these five options are a great starting point. Each of the models summarized here are powerful enough for you to safely take down a full grown deer safely from a reasonable distance. If you take some time to compare the features of each of the top five crossbows then you are sure to find one that best suits your personal requirements. 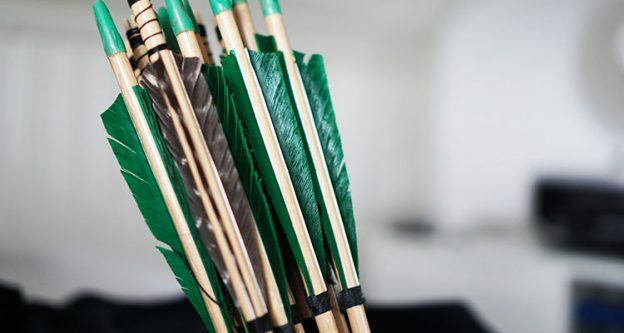 Think about the weight, the price point and the draw weight that each of the crossbows has to offer and decide which of them will best suit your needs.